PGA National is located in the highly-coveted Palm Beach Gardens, just north of Jupiter and just south of West Palm Beach. The location is supreme: suburbia combined with just about any kind of business you could ever need. If you like being close to all the action without going full "commercial," Palm Beach Gardens is the place for you. It's unlikely you'll need to drive to a different city or town for much. And if you like golf, PGA National is your heaven. The popular golf club and resort community spans 2340 acres of gorgeous landscaping, five 18-hole championship golf courses, and over 4900 homes, villas, and estates. The club itself offers 19 fast-dry clay tennis courts, complete with a pro shop, in addition to racquetball courts. For those who enjoy working out, a full-service fitness center is at your disposal, as well as a private spa. PGA National was built with the active community in mind, with sprawling jogging and nature trails throughout and even playgrounds for the little ones. On the west side sits a natural wildlife habitat on about 240 acres. This is one of the reasons you'll see many different kinds of birds flocking across the community. PGA National Homes are some of the most sought-after residences in Palm Beach Gardens. There are a variety of custom-built homes from which to choose, as well as different enhancements, like two- and three-car garages, soaring ceilings, crown molding, and security systems, to name a few. The biggest draw to PGA National is the environment: lush and filled with greenery. 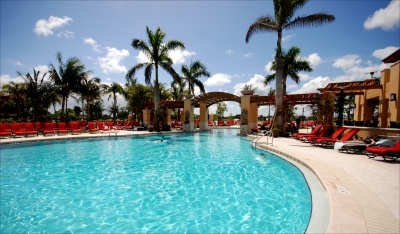 And not only that, it's surrounded by the pristine atmosphere of Palm Beach Gardens, close to everything you need. The Turnpike is just minutes from your door, as is Downtown at the Gardens (an extravagant outdoor shopping complex featuring Whole Foods, movie theater, Cheesecake Factory, and a carousel and train for the kids), Legacy Place (another walkable outdoor shopping experience featuring Barnes & Noble, Best Buy, Chilis, Fridays, and more), and the luxurious Gardens Mall. There is also a mix of cultural events in the northern Palm Beaches, anything from boating to car shows to equestrian competitions. Some of the most popular PGA National communities are The Island, Marlwood Estates, Burwick, Preston, and Thurston, with home prices ranging from the low $200,000s to over $1 million. 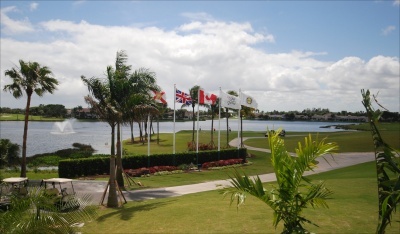 Featuring five championship golf courses, PGA National was ranked number 68 of America's Best Golf Resorts by Golfweek. It is the host of the Honda Classic and its Champion Course hosted the 1983 Ryders Cup, 1987 PGA Championship, and the PGA Senior's Championship from 1982-2000. Arguable the most well-known courses are The Champ and the Squire, with former of which was designed by Jack Nicklaus and the latter was named after Gene Sarazen, who the first to win the professional Grand Slam. 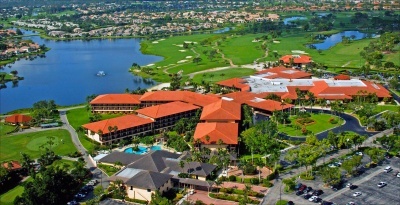 PGA National offers a 40,000 square foot Spa area. This also includes an oversized swimming pool with a sundeck, cabana-style seating, and a luxurious private spa experience featuring over 100 rejuvenating treatments and therapeutic outdoor mineral pools called "Waters of the World." 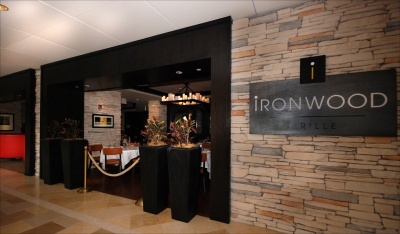 PGA National offers only the finest in dining experiences, featuring the fancy Ironwood Grille or a casual lunch spot. There is also a 33,900 square foot conference facility with on-site catering. Five croquet lawns, 300 acres of preserved wetlands, landscaped walking paths, 240-acre nature preserve, 7 miles of bicycling and jogging trails, 25-acre lake for water activities, 2 parks and play areas for the little ones, and a 36-acre park for softball, basketball, and soccer. 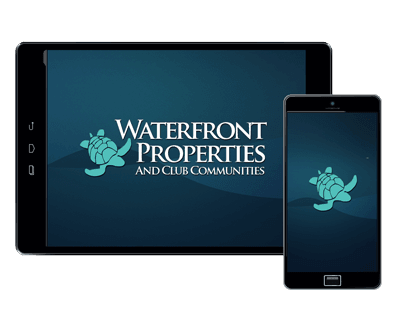 At Waterfront Properties, we are dedicated to providing our clients with the best possible home buying or selling experience. For over 30 years, we have developed a unique and historic perspective on Palm Beach Gardens, Florida and the real estate it has to offer. Our agents not only work in the area, they also live here and take pride in being part of this magnificent South Florida community. If you have any questions, please contact our PGA National specialists at 561-626-7272.